When we sit down with our Income For Life clients that are either close to retirement or are already in retirement, we like to describe annuity products vs. the stock market products with an analogy of “the Sports Car vs. the Mini-Van” — and things tend to then become much more clear. Our financial advisors have years of experience helping clients with their retirement income planning. Contact us today. When you were younger, maybe you or someone you knew owned a sports car. It was a fun car. It was a two-seater, it had a fast 5-speed manual engine that could blow the doors off of any other car on the street. It looked great, you looked great in it and it was a lot of fun to drive. But, once you met that special someone and you decide to settle down to start a family, one of the first things that is typically traded in is that sports car, normally for the mini-van or SUV. Basically, something that is safer and can haul kids around in. It has more room, offers better gas mileage, it is safety-rated — AND REALLY BORING. You know what I mean: A decision was made that you now need something more practical, given the new changes in your lives. The mini-van doesn’t go 0 to 60 in 3.9 seconds and can’t chirp the tires in second gear, but it will get a carload of kids to soccer practice safely and will get the family to grandma and grandpa’s house over in the next state comfortably without breaking the bank account in gas costs, the kids can watch a movie in the back and there is plenty of room for everyone. It is important for you to know that this trade-in from the sports car to the mini-van does not make the sports car manufacturers BAD or WRONG — you just simply out-grew it. You out-aged it. You got to a new point in your life where the sports car benefits were simply no longer the best thing for you. This is exactly why annuities are here for retirees. 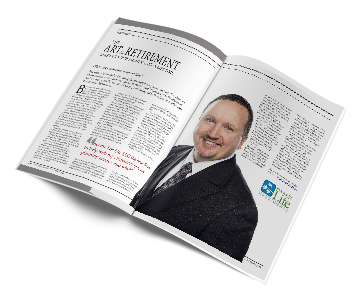 Annuities are the ‘mini-van’ of the retirement world. Annuities are the safe, dependable option for retirees because of the guarantees and the ability to provide lifetime income. They are not fancy. They are actually pretty dull (as Benjamin Franklin and Babe Ruth both said: ‘Annuities are boring, just as we like them.’). But what they offer is dependability, safety and confidence — and they are the ONLY retirement product that can offer a lifetime income stream through retirement. Neither the banks or Wall Street have this option available to you. That is invaluable. Peace of mind is priceless, agreed? In our opinion, the stock market is the ‘sports car’. Enjoy it while you can. It is great for younger ages when risk is furthest from your mind and you still have time on your side, but the markets are not as practical when the need for guarantees and safety are your primary goal – and when you are close to retirement age and time is no longer on your side. How fast would you run out of there? Me too. 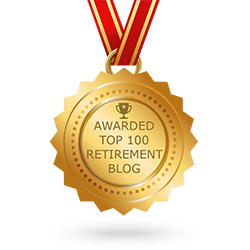 Choose our Top Rated National® Retirement Income Planners. Call us today.